Drake’s chart-dominating, streaming record-breaking ‘playlist’ More Life is a grab-bag of global influences. But if you don’t know your Moodymann from you ‘wasteman’, never fear – David Bell is here to guide you through it. I’ve always found Drake to be a kind of harmless doongie who can rap OK but write an amazing pop hook. I could absolutely rinse three of his songs every two years but never have to worry about him showing up in my lane unannounced. Recently though, Aubrey has taken quite the liking to a few things in my lane and it’s buzzing me out. Music isn’t owned by the listener who thinks they got there first. 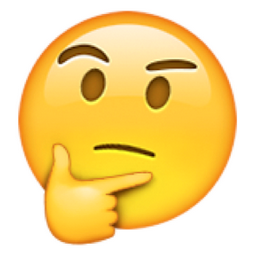 You can’t hate someone for discovering new genres and being enthusiastic about them, but you can resemble a giant thinking face emoji when someone starts picking up the slang and characteristics of a genre seemingly out of nowhere, laughing all the way to the internet banking app on their side chick’s cracked 5S. The world doesn’t need another Drake hot take though. If you commit more than a thousand words to Drake you instantly lose the philosophical battle you set out to win. With that in mind, let’s just talk about a few of the genres Drake is interested in now, why it’s buzzy, and listen to some artists who actually do these genres full time. When Skepta released ‘That’s Not Me’ in 2014, the popularity of grime increased at a rate that I will never be able to explain. And Drake is just one of many to have really jumped on the bandwagon. Grime informs More Life more than any genre outside of Drake’s own brand of hip-hop/R&B. Along with features and interludes from real life grime MCs Skepta and Giggs, ‘No Long Talk’ has Drake saying “Ting” and “Man like” quite a few times. Other tracks are straight up named after Jamaican (‘Gyalchester’) and British slang (‘Blem’, which includes a Drakefied take on the classic UK epithet “wasteman”). The sheer amount of grime he’s trying to grime at us, paired with the fact that he didn’t seem to have any interest in grime before 2014 makes this buzzy. Also, grime is a gritty and unabashedly street genre. Not something I’ve ever associated with Drake, despite his best efforts. What is grime like without Drake? Wiley is the literal godfather/inventor of grime. Please read this article and learn more about him and the beginnings of grime. Once you’re done, listen to this Sidewinder Promo mix capturing a young and hungry Wiley going verse for verse with Dizzee Rascal the year before he went on to become the first critically acclaimed grime MC with crossover hit Boy In Da Corner. This is blistering stuff, with an energy that you just can’t find outside of UK pirate radio or club culture. And his associate Big Zuu who hosts a radio show which acts a sort of grime version of talkback. Lots of phone calls, not a lot of music. NY rap radio kingpin Ebro expertly trolled dry-balls house aficionados last week by announcing that Drake brought house back, all because More Life has a single house track as well as a sample of Moodymann, a pioneer of the Detroit house sound. I was surprised to hear Black Coffee was credited on on ‘Get It Together’, but when I heard Moodymann was involved, I was SHOOK. With Black Coffee I can see how he got there, but Moodymann on a Drake album is pairing real with not real. For a long time, Moodymann wouldn’t perform outside of Detroit or to white people, despite all of Europe being desperate to book him. Moodymann will never change for anyone. Drake listens to Skepta once and suddenly “peng ting” is his only form of communication. To see how REAL Moodymann is, see this, the greatest RBMA lecture ever filmed. What is (Detroit) house music like without Drake? Drake has been hanging around dancehall for a little while now, having gone pretty tropical for parts of Views (‘Controlla’, ‘One Dance’) and doing a lot of mingling with and general promo of Popcaan. Of the genres Drake has jumped on, dancehall makes the most sense. There are a lot of similarities between dancehall and Drake’s pop side, and there is a big Caribbean community in Toronto. So when he shouts out Popcaan’s crew Unruly in ‘Blem’ and adds more and more Caribbean inflection to his music it’s not as jarring as his other appropriations. Although it makes so much sense for Drake to do dancehall, every time he does it would sound better with any number of different dancehall artists doing it instead. ‘Blem’ would be immediately improved if Popcaan was on it instead of Drake. Fact. The best thing about new Drake releases are the dancehall and foreign language remixes that come afterwards. The best aspect of Drake as a concept is the Caribbean, African and UK artists that are influenced by him yet doing what he does better. What is Dancehall like without Drake? Love it or hate on it, Drake has always done this. And he’s not going to stop. Sure, he’s not real, but do we really want him to be? I can’t imagine anything worse than Drake trying to earn real authenticity in any of the genres he bites. Do you want to hear a full-length Drake-produced Detroit house or dancehall album? No. No, you do not. Trust me. If anything, Drake performs a valuable function by providing a jumping off point into these genres for his more inquisitive fans. Don’t be mad, be woke! The examples above are a tiny selection from each genre. There is so much more. Treat every Drake release as an opportunity to find many things that are even better. Google his featured artists. Or just google “good grime music”.